Bertha is a bit uncoordinated so we enrolled her in our Finishing School program to do some simple body awareness work to help with her coordination skills. Our trainers used dog agility equipment, but you can make simple obstacles at home using broomsticks and books. The next step in Bertha’s training was to help her to learn to get in and out of the car safely. 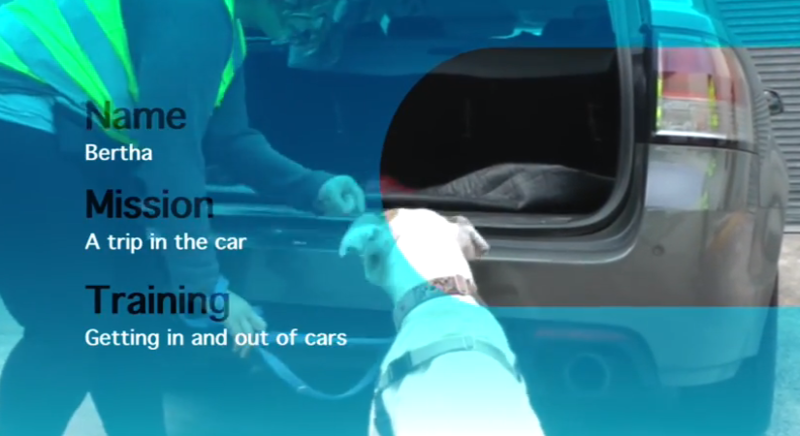 Taking time to teach your dog to travel safely in the car means that you can take them to wonderful places and give them a very interesting life with you. Meet Bertha and all our graduates at our North Melbourne shelter at 2 Gracie Street, North Melbourne.